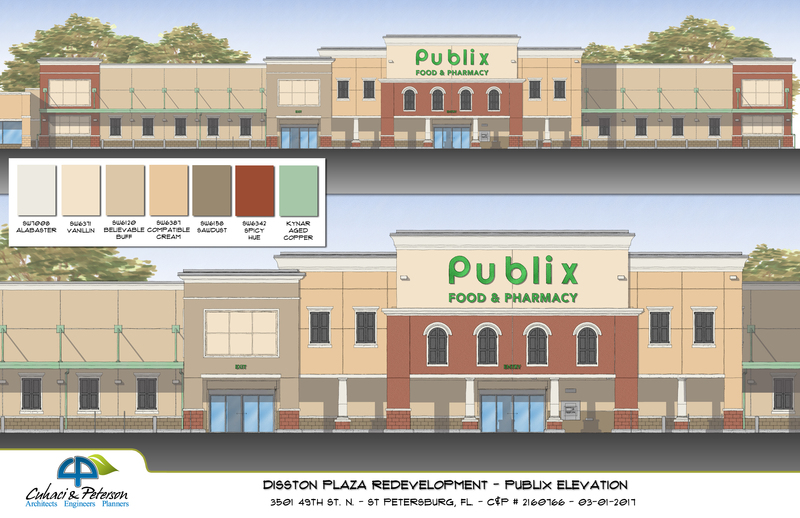 The Sembler Company, a St. Petersburg, FL- based shopping center developer for over fifty years, announces the revitalization of Disston Plaza, a 123,000 square foot center anchored by Publix Supermarkets, located at 3501 49th Street North in St. Petersburg. Publix will close during construction, while the rest of the plaza will remain open. Part of the scope of the redevelopment includes tearing down the existing 40,000 square foot Publix and replacing it with new a 45,600 SF store. The revitalization of Disston Plaza will be completed by Fall 2018.